"I really like the flavor of the sauce plus it is very easy. 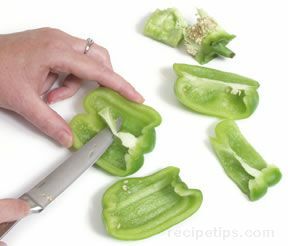 I used 4 large ... read full review"
Core and remove seeds from green pepper. 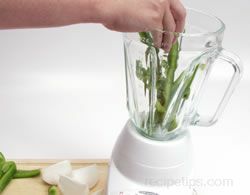 Place green peppers and onions into blender, puree. Add tomatoes and salt, puree. Add garlic cloves and oregano if desired, puree. 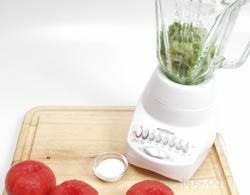 When all ingredients have been pureed, the tomato sauce will appear pink in color. 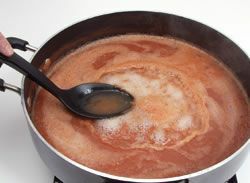 To thicken and develop flavor, bring sauce to a slow boil, removing any excess water that appears on the top. The tomato sauce will become red in color. 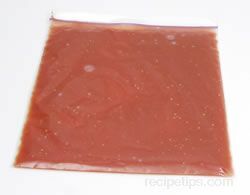 Allow tomato sauce to cool and package in airtight freezer bag or container. When placed in an air tight freezer bag and frozen flat, pieces can be broken off and used as needed. 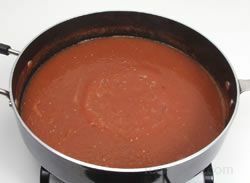 It is best to use the tomatoes sauce within one year. Be sure to label and date your freezer bag. 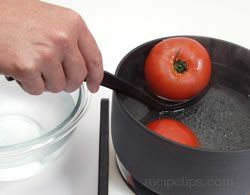 Wash tomatoes under cool running water. 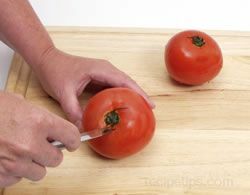 Slice an "X" on the bottom of each tomato with a small utility knife. 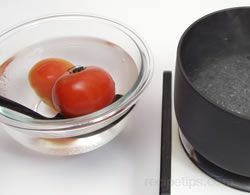 In a large saucepan bring water to a rolling boil. 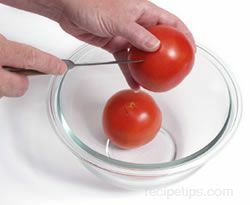 With a large spoon, place tomatoes in boiling water for 30 seconds to loosen skin. 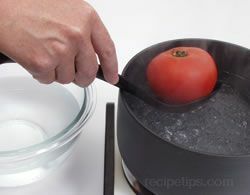 Remove tomatoes after 30 seconds, place directly into cold water to stop the cooking process. 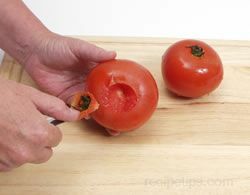 Core the tomatoes by removing the stem with a paring knife. 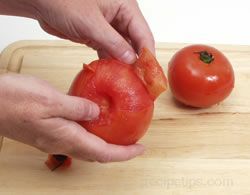 Peel away the skin, being careful not to injure the flesh of the tomatoes. 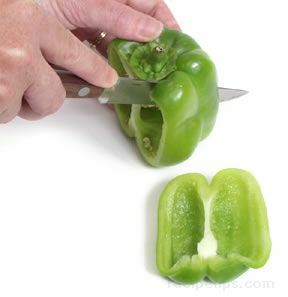 Cut pepper lengthwise on all four sides, cutting around the stem, seeds, and ribs. Remove any remaining seeds. With the utility knife, remove any remaining rib. 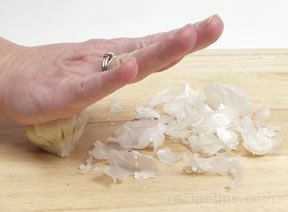 Breaking the bulb: Begin by removing the outer layer of the garlic. 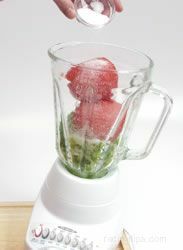 With stem pointed into work surface and bulb at a slight angle, press down and away with the heal of your hand. The bulb will break into individual "cloves". Peeling the clove: After the cloves have been separated, trim off the root end. Twist the clove between your fingers to loosen the skin. Once the skin has loosened, remove. 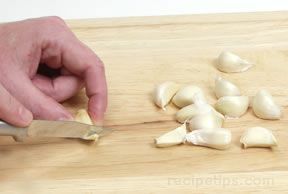 If the garlic is fresh, loosening the skin tends to be more difficult. 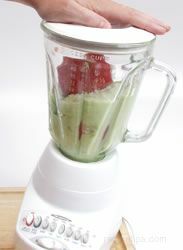 "I really like the flavor of the sauce plus it is very easy. I used 4 large Amish Paste and a few other various heirlooms that were going to waste if I didn't. I used a thin skinned purple pepper (all I had) plus a fresh onion from the farmers market. 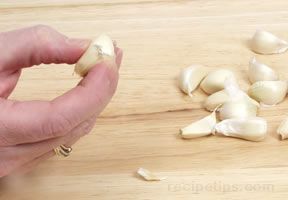 I used 5 garlic cloves and about 1/2 tsp of salt and fresh oregano from my garden. 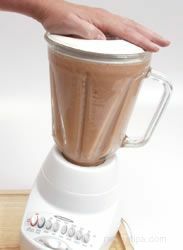 I used my Vitamix to blend the ingredients and cooked on low until the right consistency. I put it in a ziplock per the directions and froze. Can't wait to try this winter when the tomatoes are all gone. 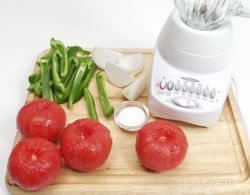 The instructions for preparing the tomatoes are perfect."